McMillan welcomes yet another client to the winner’s circle! The B2B creative agency announced today that its brand and go-to-market work for HUB International won two key categories at the 2017 BMA B2 Awards. The awards recognize the world’s top-performing B2B marketers, measuring the strength of their strategic and creative solutions to business challenges, along with their ability to deliver business impact and perform against KPIs. 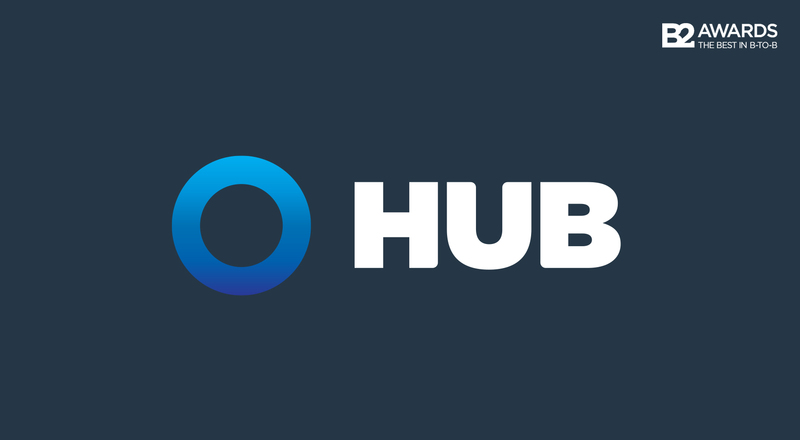 In spite of being a top 8 global insurance broker with more than 400 offices and 10,000 employees across North America, HUB was not well known to its core audiences before the rebrand. Based on key industry insights, McMillan created a new brand manifesto that focuses singularly on HUB’s customers, paired with an innovative visual design that brought the message to dynamic life. “We wanted to prove to our customers that they’re at the centre of everything we do—and that’s precisely what we did with this new brand,” said Ellina Shinnick, HUB’s Senior Vice President, Marketing. HUB initially approached McMillan to lead an overhaul of the brokers’ website in partnership with customer experience agency Rightpoint—and this remained a priority throughout the rebranding process. “What started as a web evolution became a digital-first brand revolution,” explained McMillan President Rob Hyams, who worked closely with HUB’s marketing team to steer the projects to completion. The HUB website became a proving ground for the brand, and its most important articulation. “It’s only fitting that the B2 Awards recognized the brand strategy and website together,” added Hyams. If at first you do succeed, try, try again!